After being diagnosed with coeliac disease in 2009, a visit to a local bakery would leave QUT alumnus Kate Williams disappointed (and hungry!) at the limited options. She made it her mission to bring the fun back into gluten free food. 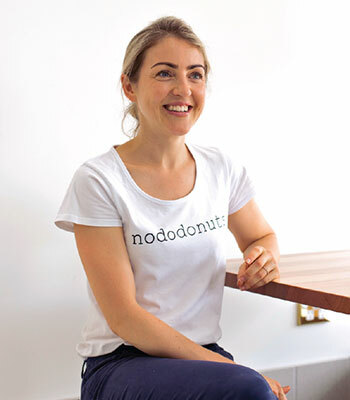 In 2014 she launched Nodo Donuts - combining her love for hospitality, business, and marketing. 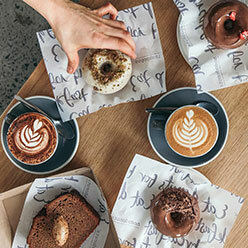 Today Nodo's gluten free, ‘baked not fried’ donuts are a Brisbane institution, with people lining up at stores in Newstead, the CBD, and Camp Hill. We sat down with her to find out just how she turned her gluten free search into a gourmet business. Can you tell us about starting your own business? I was diagnosed with coeliac disease 10 years ago and it took the fun out of food for me. Whenever I visited a bakery I had very limited choices. That's when I decided to bring the fun back into gluten free food. The concept and name for the business literally came to me overnight. It became an obsession as I got into the kitchen developing for months trying to perfect the gluten free flour blend and recipe before I took it to market. What motivated your decision to study Marketing? To run a successful business you need a large variety of skills and I felt that a degree in Marketing would provide me with a well-rounded education and a strong foundation to pursue my dream of owning my own business. How did you go from concept to setting up your own shop? I started at the markets as I knew the capital needed would be low and it would allow me time to do market research and test my idea. 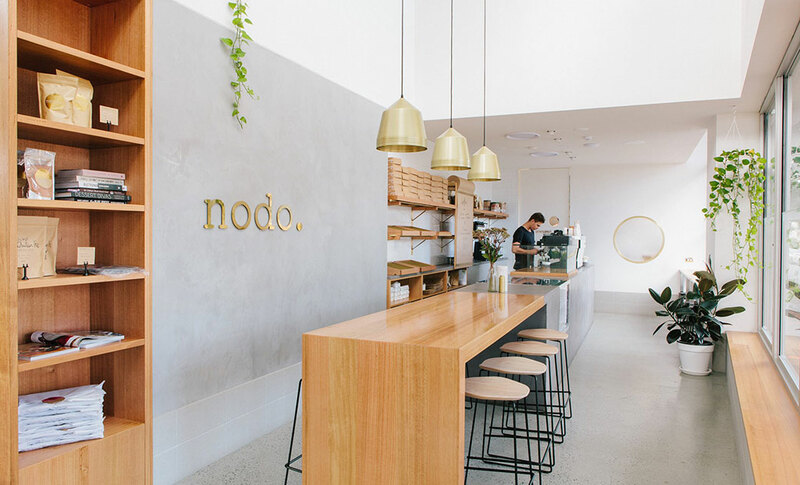 Nodo Donuts was really well received and I began wholesaling through a large number of cafés in Brisbane until I had raised Nodo's brand profile and had enough funds to invest into my own café. I love hospitality so it's wonderful to be able to produce the products in-store and get back in touch with my customers. How do you think your time at QUT prepared you for starting and running your own business? Completing my Marketing degree gave me the confidence I needed to begin my own business. When I think about all the decisions I have made within the business I think back to what I learnt during my time at QUT and how it prepared me and provided me with the knowledge I needed. What would be your advice to new graduates? My advice to new graduates is to choose something you are truly passionate about. If you’re passionate about your field it will naturally provide you with the drive needed for a successful career. What does the future look like for Nodo Donuts? I'm really excited for the future of Nodo. I've worked very hard over the past 4 years to get Nodo to where it is now. In the next few years I plan on opening more stores interstate and growing our brand awareness and product lines.